A short biography of Soledad Estorach, one of the most dynamic founders and activists of Mujeres Libres. Soledad Estorach Esteri was born on the 6th February 1915 at the small village of Albatarrech near Lerida. Her father had spent many years outside Spain and taught classes for adults, teaching Soledad herself to read and write, something almost completely unknown in girls of her class. Her father died when she was eleven and she was obliged to get work, although another teacher in a nearby village, a friend of her father’s, taught her for a few hours each week. The family stayed in the village until she was fifteen. She was under pressure from her mother to get married. She did not want this, and wanted to remain true to her father’s ideals. She persuaded her mother to let her go to Barcelona. Here she worked in her uncle’s shop, but soon an economic crisis forced him to close down. She worked as a maid, but hours were extremely long with little pay. She got work in the chemical industry. She started attending night schools organised by the anarchosyndicalist union the CNT in 1930. In 1931 she attended an ateneo and joined their youth group. In 1934 she was part of the women’s group that met at the building workers union in Barcelona, along with Pilar Grangel, Aurea Cuadrado and Conchita Liaño. She became a member of the Women’s Cultural Group (Grupo Cultural Femenino) of the CNT. With her sister Juana she joined the Libertarian Youth (FIJL) in 1936. In July of that year during the revolutionary events she served on the revolutionary committee of the Clot neighbourhood and was delegated by the local federation to meetings of the Libertarian Youth of Barcelona during the war. On July 18 she was one of the anarchists who occupied the Casa Cambo on the Via Layetana, fortifying it and building barricades. She was active in the libertarian organisation of women, Mujeres Libres, and was a comrade in arms of Conchita Liaño in demanding women’s rights. She was one of the leading organisers of women in the working class neighbourhoods of Barcelona. She was involved in the activity of the Casa de la Dona Treballadora (House of the Woman Worker) where she was responsible for finance. She contributed to the FAI paper Tierra y Libertad in 1938 and to the paper Mujeres Libres between 1936 and 1938. She was forced to leave Spain with the triumph of Franco. When she was preparing to leave for France from Figueras on 26 January 1939 she learnt that two comrades of Mujeres Libres, one of whom was Pepita Carpena, were trapped in Barcelona. At the risk of her own life she returned by car and rescued them. From 1940 she lived in Bordeaux with Andrés G. De la Riva. At the end of the year she contracted a grave malady. She returned secretly to Spain in 1945, but had to return very shortly to France because of the repression there. 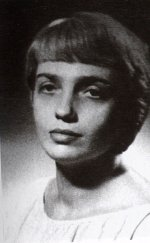 She died in Paris on the 14 March 1993.